For some reason, I’ve always associated space exploration with Christmas. No, I don’t think it’s because of that movie Santa Claus Conquers the Martians. I think it’s deeper, going back to something elemental in my childhood brain. As a kid, I was an idealist. When I learned that there were poor people, I thought we should give them money. When I imagined growing up, I pictured opening a grocery store where everything was free. And when I learned that we were trapped by earth’s gravity, I thought that we should build rockets. I was always trying to invent things. At age 3, I was trying to build forts and airplanes. At age 5, I was trying to build robots and time machines. I didn’t have any doubt that these were things we could do — I knew it was just a matter of time. And so when I heard about black holes, I knew that they were out there. And when I learned about the Theory of Relativity, I had no trouble believing it. And when adults cautioned me that they really weren’t sure about any of this yet, I thought that they were quite silly. Of course there were black holes. Of course time dilation was possible. Of course the universe was massive and ripe for exploration. For me — in my innocence and idealism and naiveté — inventing new technologies and exploring the universe was the most obvious thing in the world. As a society, we tend to be much more cynical. We worry much more about practicality and pragmatism. We are concerned that big aspirations point to some sort of psychological deficit. We’re like the Freudian psychologist in Miracle on 34th Street: desperately trying to diagnose all the happiness and optimism as some sort of repressed trauma. This is why I am so inescapably Christian. And why I resonate so deeply with transhumanism. Because in them, we celebrate this idealism. We celebrate this naiveté. We look upon the universe with childlike innocence, and see a glorious place to explore. And that, really, is what Christmas is about. It’s the time that our society sets aside to celebrate the naive, and to indulge our idealism. It’s the time we dare to dream great dreams, and make big wishes, and sing audacious songs about a radically better future. And when we decorate our Christmas trees, is it any wonder that we string them with twinkling lights, and point them towards the stars? I also get time to think back and forward every Christmas. I am also idealistic, but have grown up in a very realistic, Christian family. I knew Father Christmas was fake before I could recite Psalm 23. And although I also had my aspirations to the stars later, My fondest memories include how I tried to figure out how it is possible that we can see (at a distance). My dad just laughed, but occasionally my mother would try to explain even though she did not have much of an idea herself. She taught me patience when you discover there is always something you do not know (yet), without destroying any of my dreams. Through the years the pure wonder we experienced around Christmas changed into longing for those that went Home before us. And preparing the mind for planning a whole new year around persisting ideals. I can still marvel at the wonder of sight, being able to see so far that the objects were even millions of years younger when they produced that light. 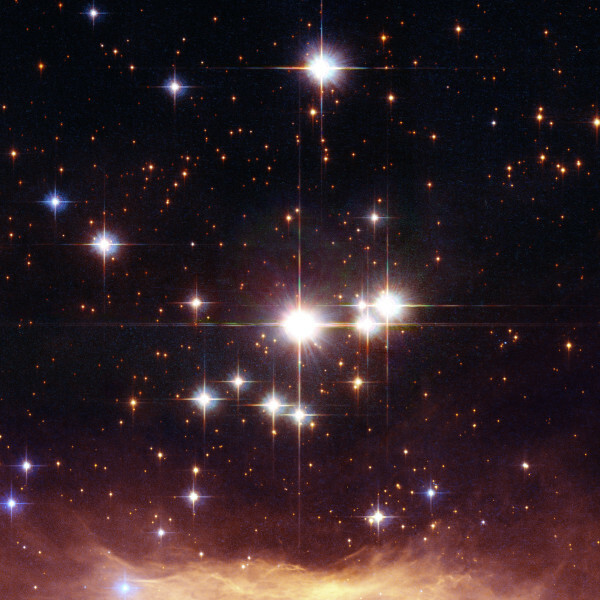 The stars remain messengers, telling us about other times and other worlds and other realities we do not know (yet). I cannot understand Christians telling you to love your neighbour and not loving the rest of creation so much that you cannot help to explore and marvel at new discoveries. I do not want to help build the Kingdom of God with old bricks. I want it to be new, wonderful, loving and just perfect. Scientists are not people who know everything; they are people who know how little they know and do something about it, just like Jesus studied in His Father's house when His parents visited Jerusalem with Him. What a good example He was for today's kids! Today the knowledge-contents of the Temple is spread all over the world and over the Internet. It is expanding at such a pace, and most people do not realise where it is represented in the Bible. Are ignorant Christians not the reasons why people do not associate knowledge with religion any more? Thanks so much for your inspiration this morning. May God bless you even more! Paddling into the waves My TEDx talk: We All Live in the Developing World The Rules of Pull-Throughs Wisdom Aspirations Aliens among us Thoughts about the accident Who I will be Kings among Stars Do We Need Hierarchies?